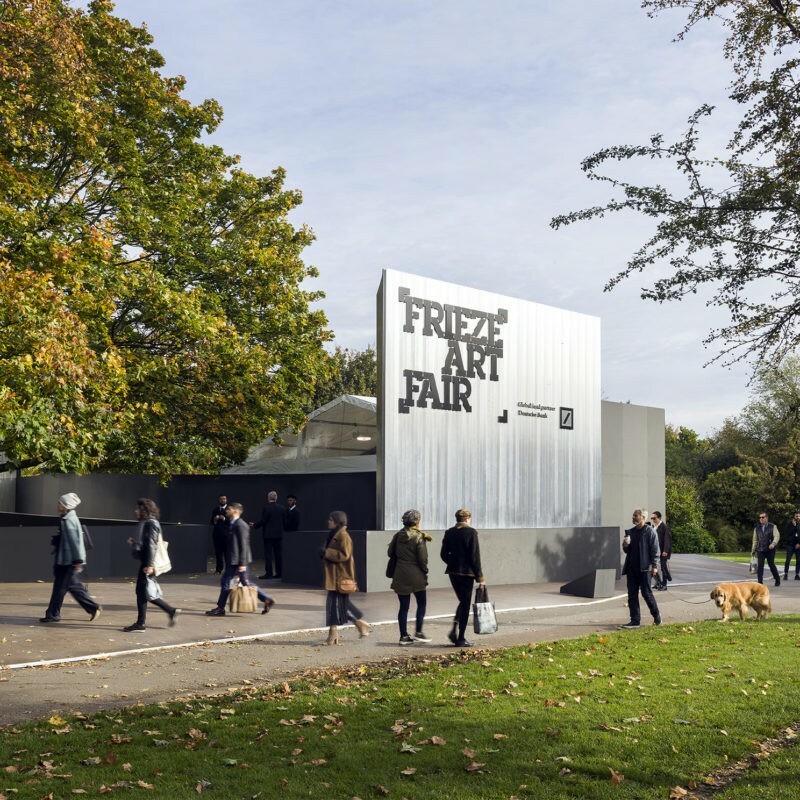 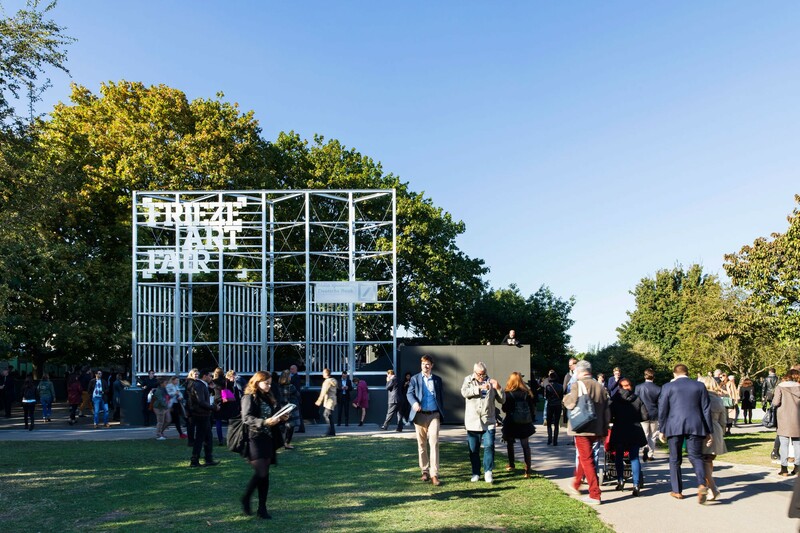 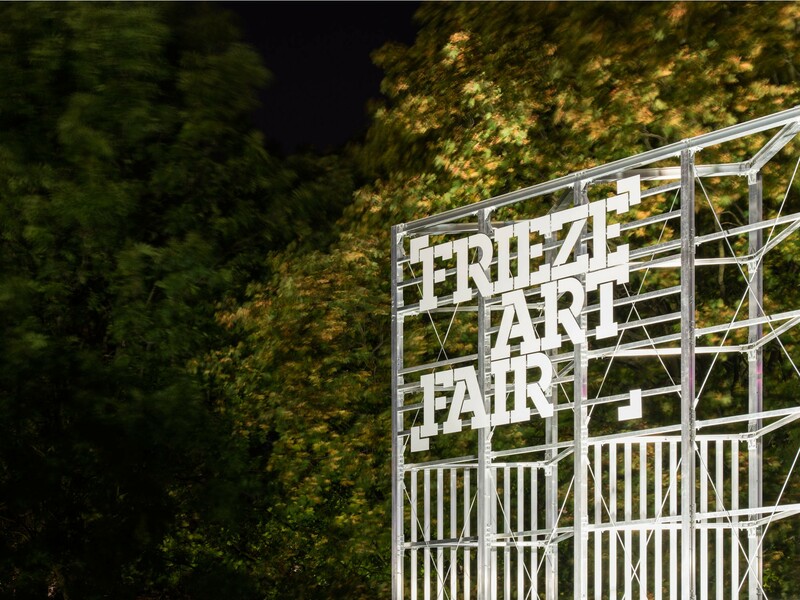 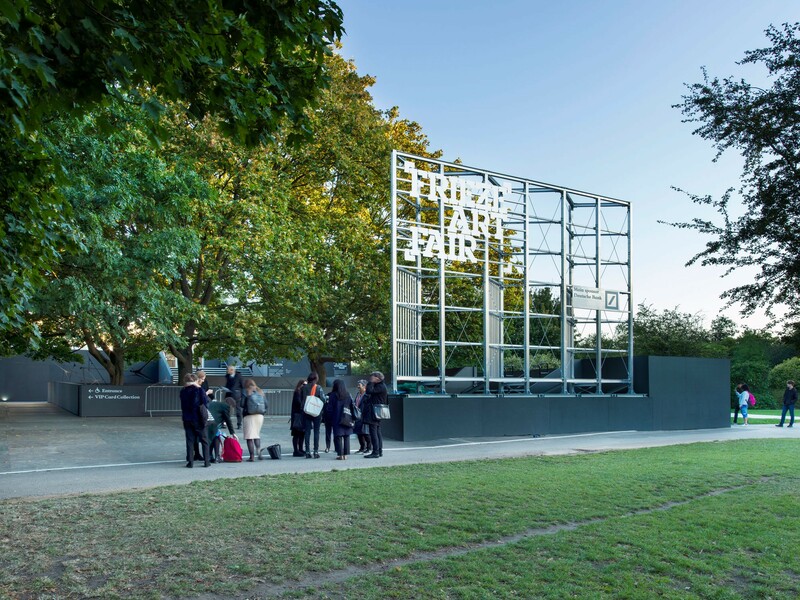 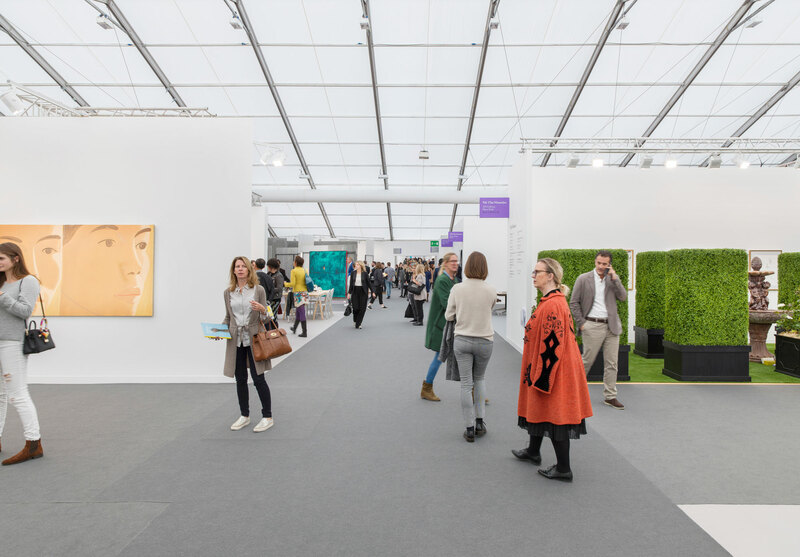 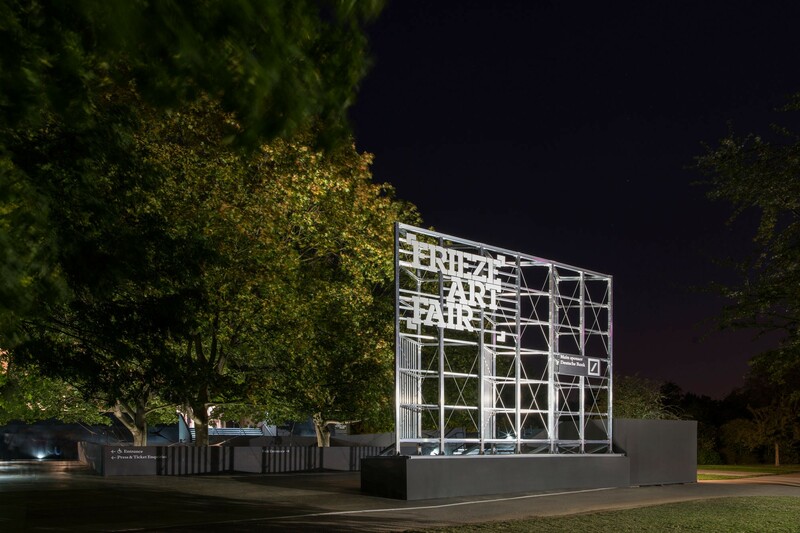 Universal unveiled a new entryway installation and outdoor gallery space for their third year as architects of Frieze London 2016. 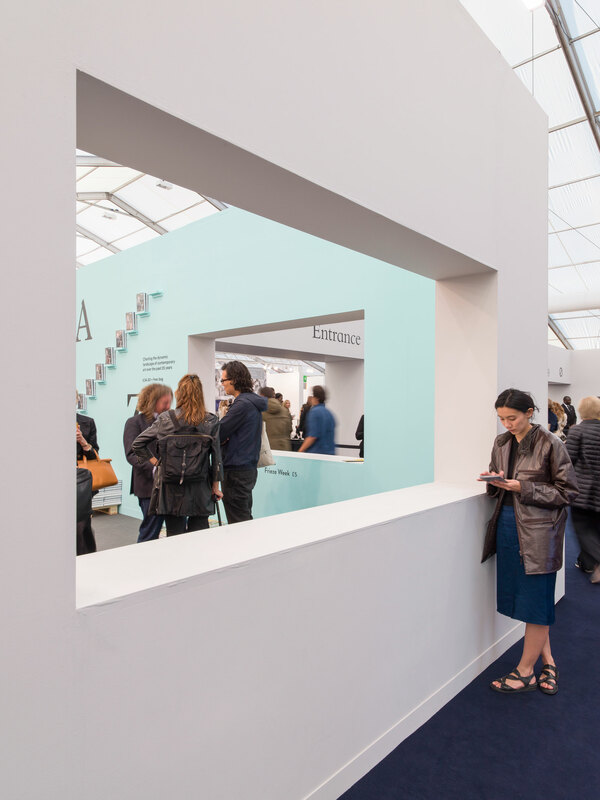 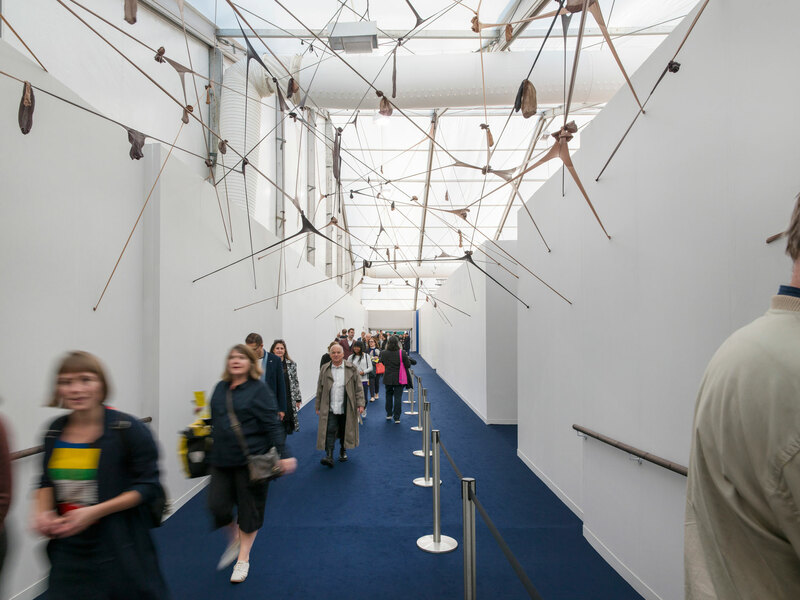 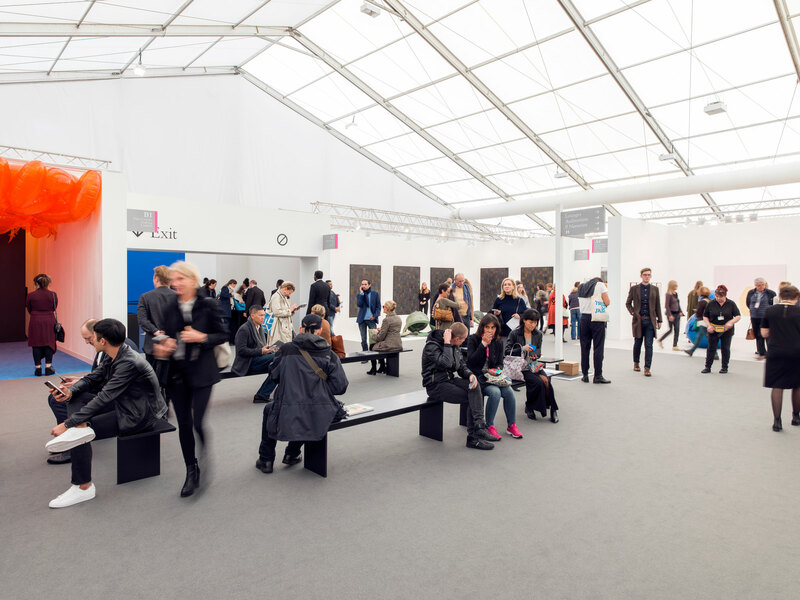 By reworking the fair’s overall masterplan, layout and interior, they enhanced the visitor and gallery experience. 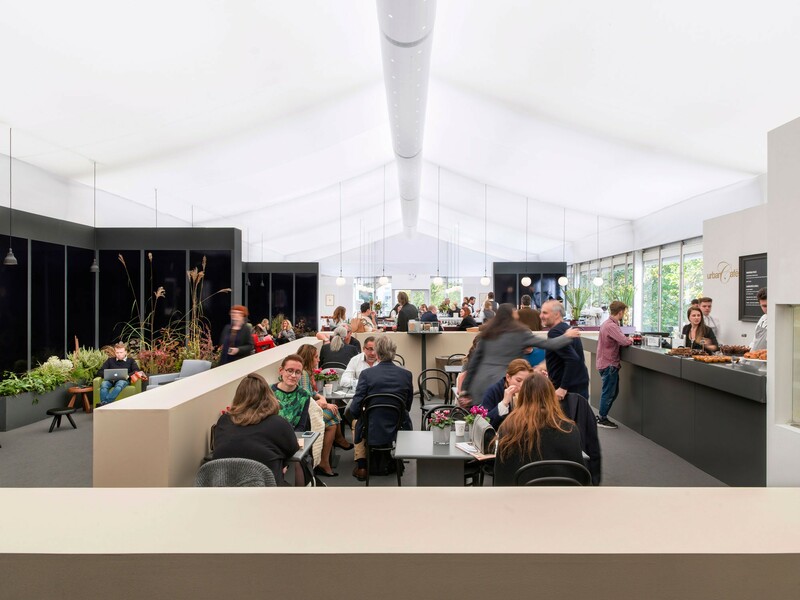 They added wider avenues and dramatic vistas, new restaurant concepts, and introduced planting and careful use of colour throughout. 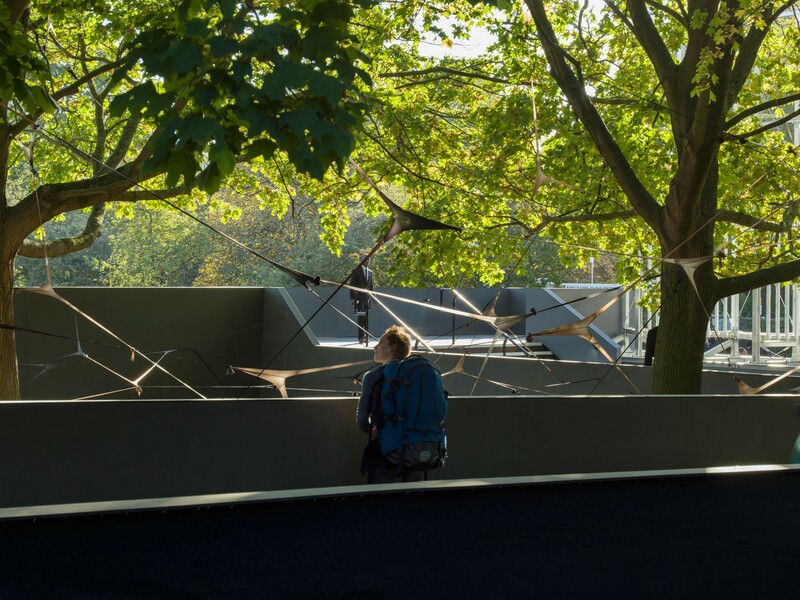 The Studio re-conceived the exterior entryway, establishing a new external gallery amongst the trees linked by a ring of ramps, elevated walkways and steps, designed to house an art installation and performance piece by Martin Soto Climent for Frieze Projects. 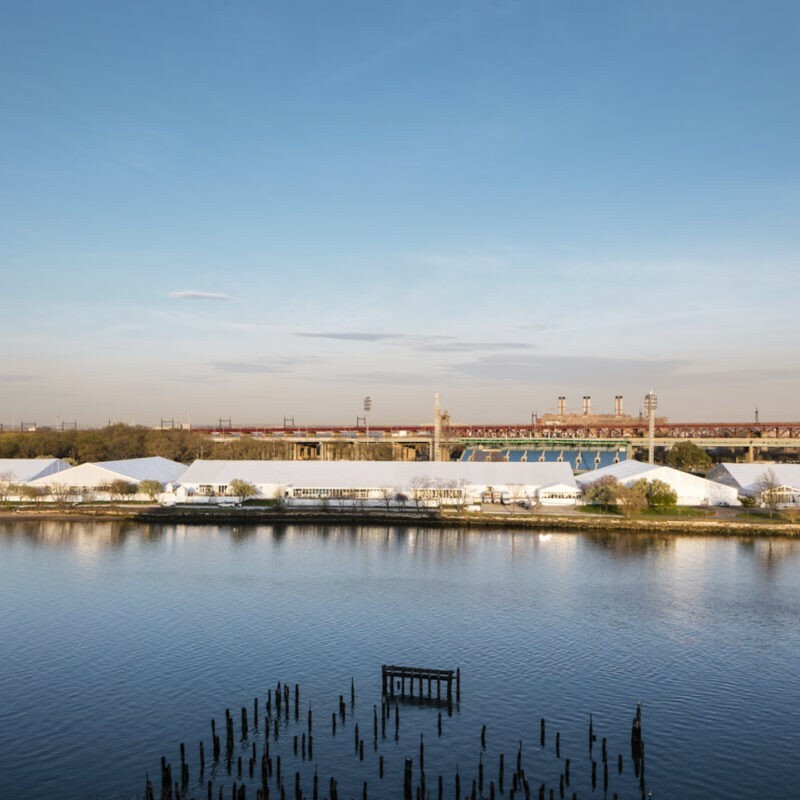 The change also opened up park vistas from the Fair. 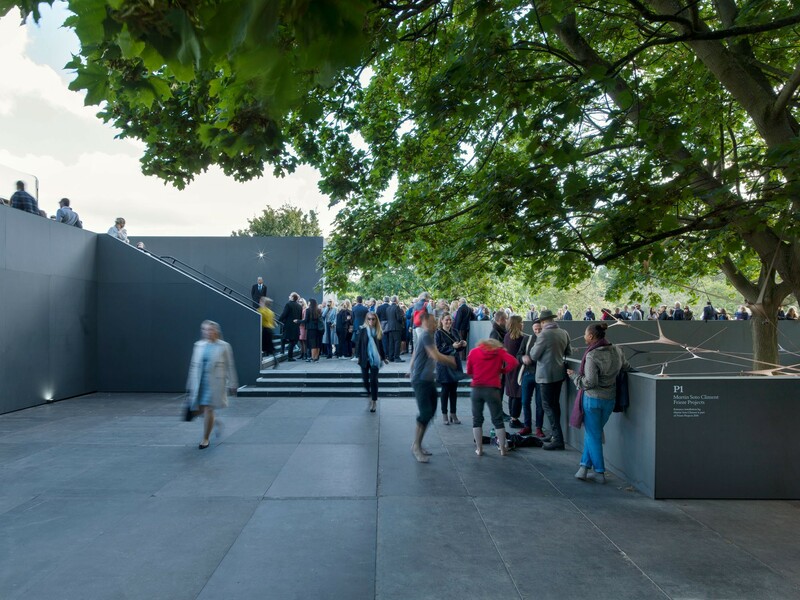 The entryway was marked by a 7.5 m high Universal-designed sculptural installation, constructed from mill-finish aluminium by art fabricator Joseph Waller. 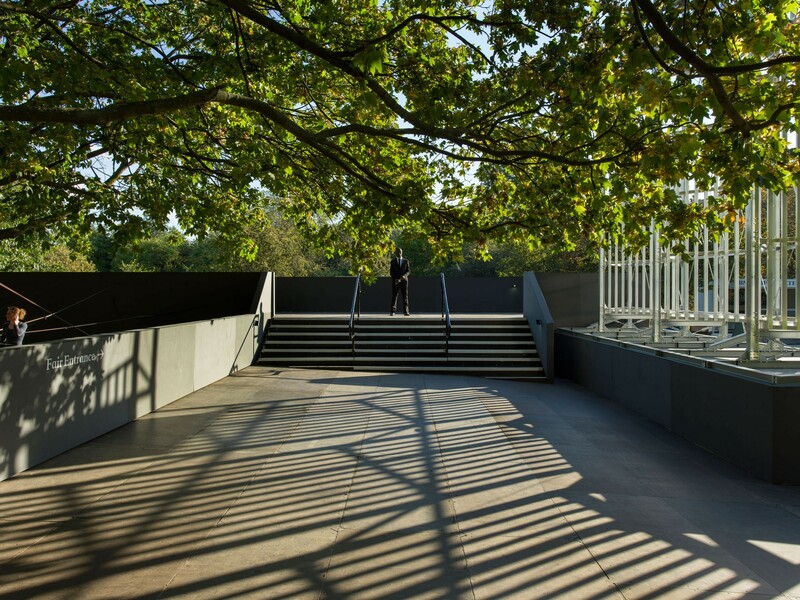 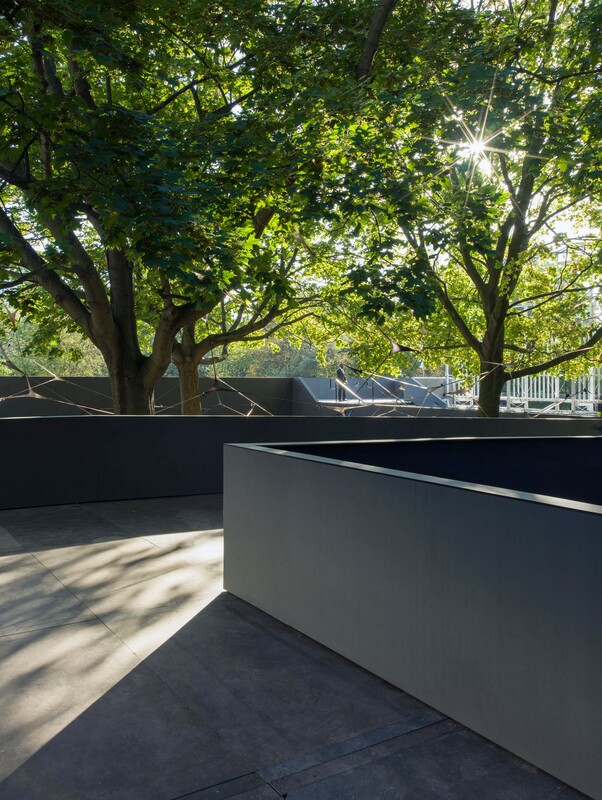 The installation, designed to reference the structural framing of the large tents that make up Frieze, invited light, views and reflection through to the tree canopy and Art installation beyond. 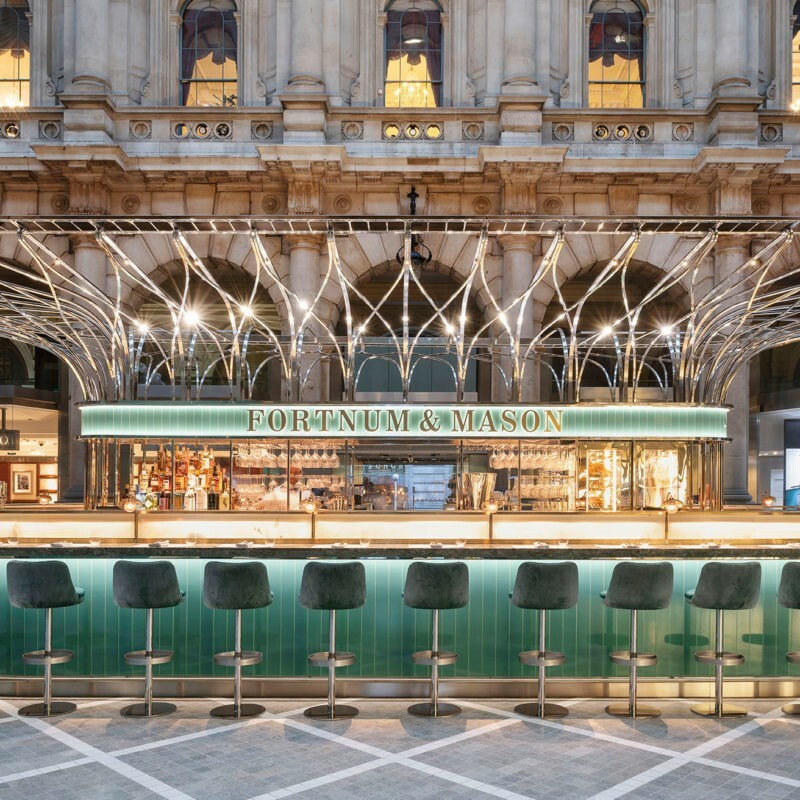 Inside the fair, Universal reimagined the VIP lounge for restaurant 34 Mayfair. 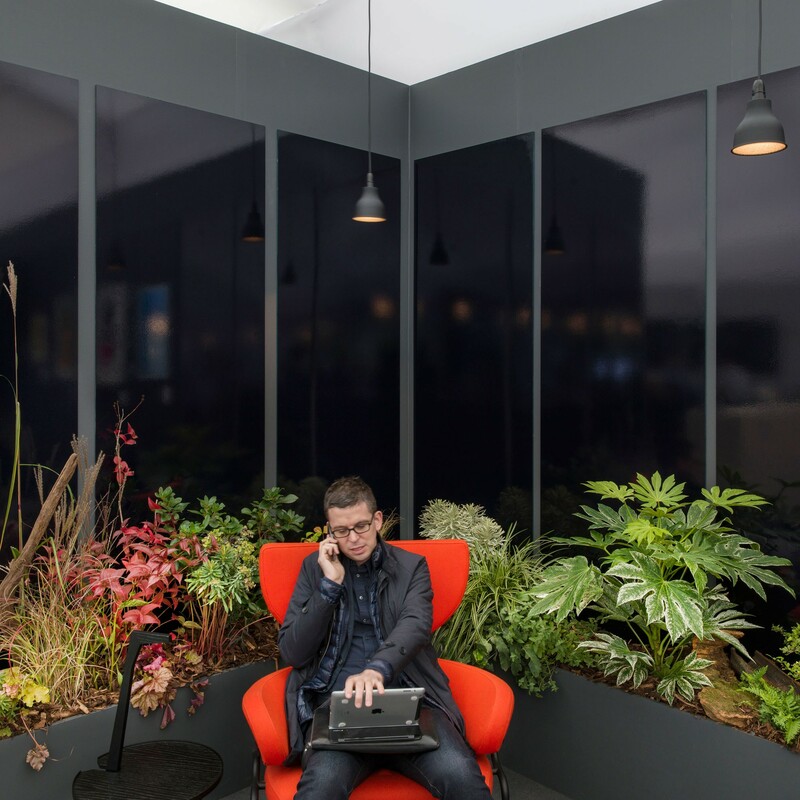 Dark hues and large blocks of colour were offset by delicate lighting and planting by ‘That Flower Shop’. 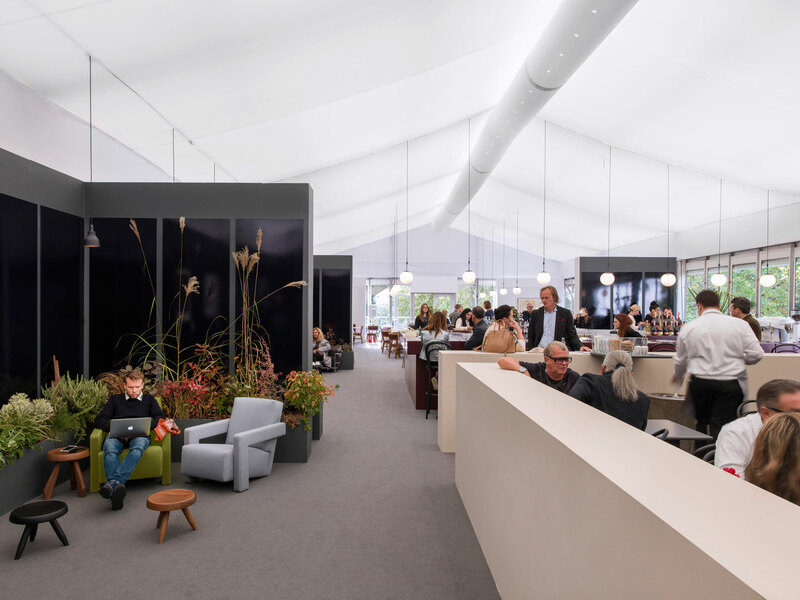 Classic furniture supplied by Italian brand Cassina featured throughout with pieces by Le Corbusier, Charlotte Perriand and Franco Albini. 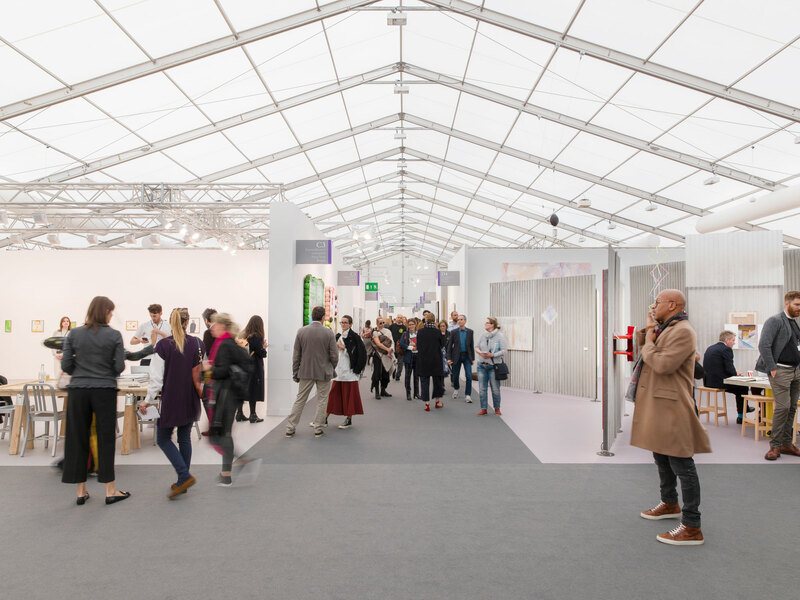 Way-finding and visitor experience was also a focus this year, with a new colour scheme and combinations of coloured carpets used to give visual guidance throughout the fair.